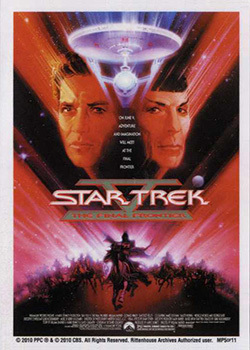 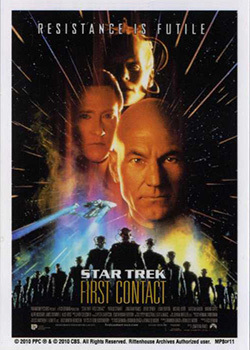 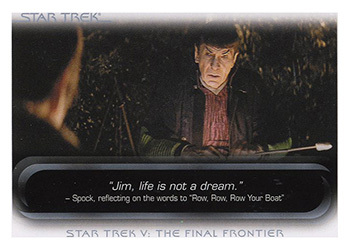 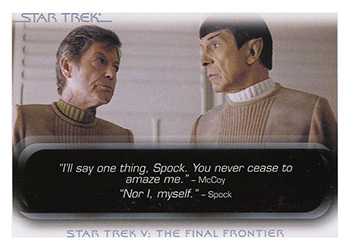 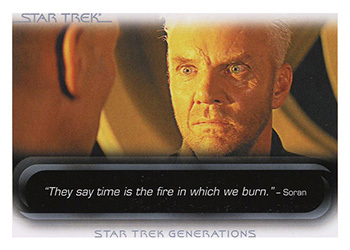 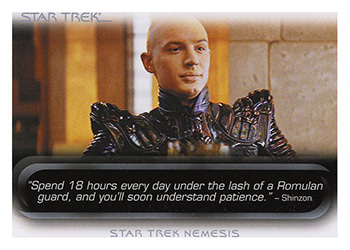 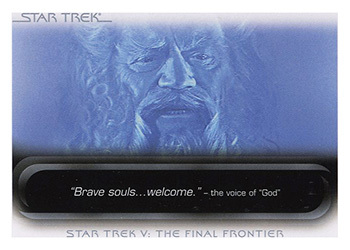 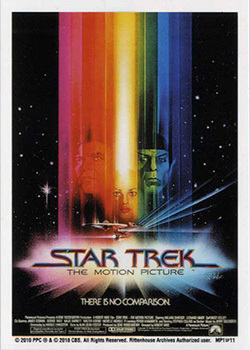 90-Card Base Set featuring memorable quotes and moments from each of the first 10 classic Star Trek films! 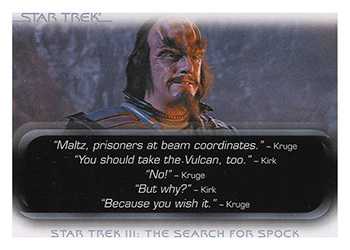 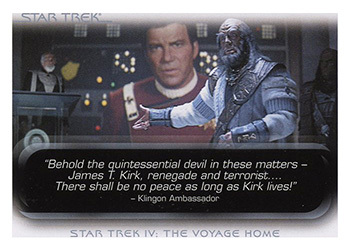 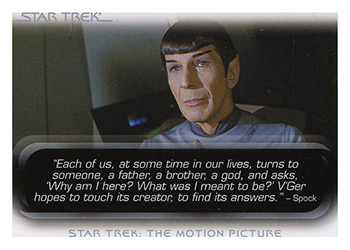 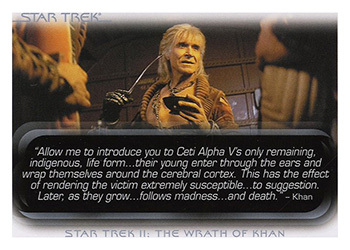 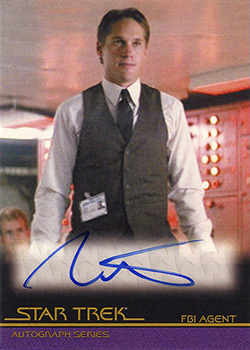 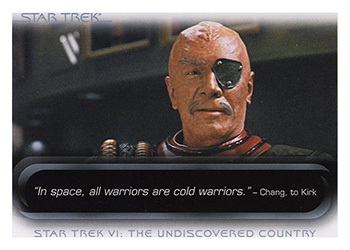 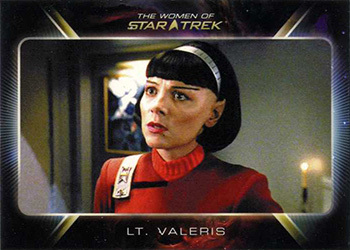 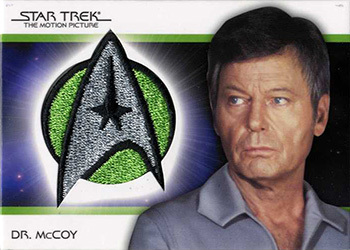 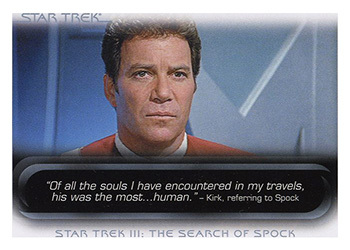 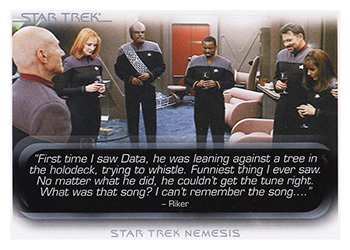 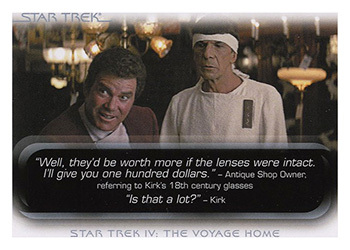 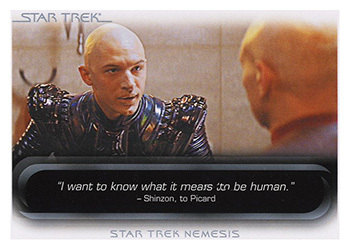 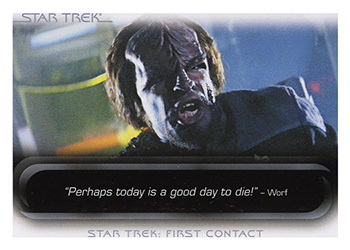 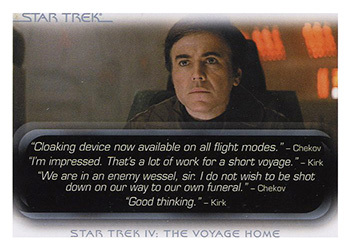 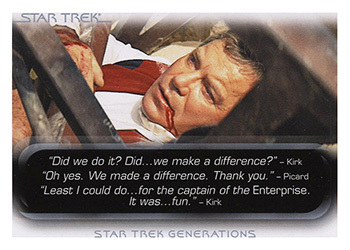 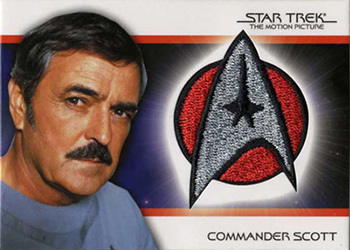 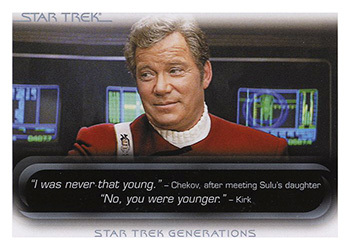 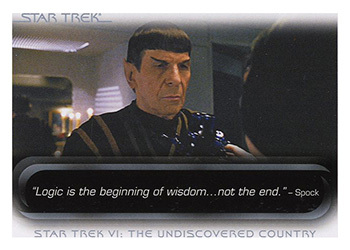 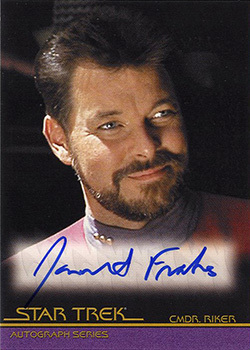 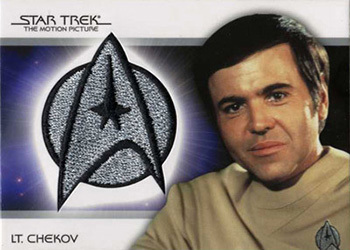 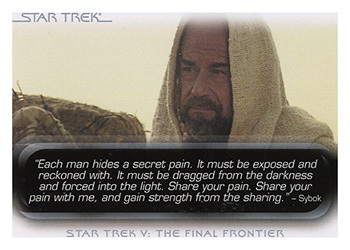 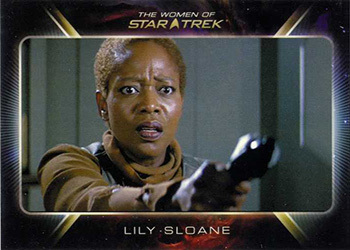 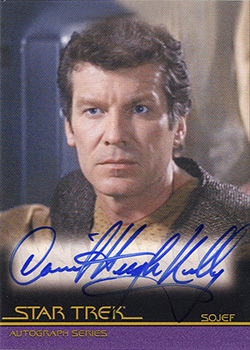 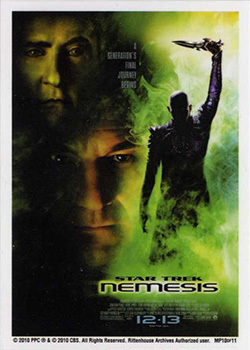 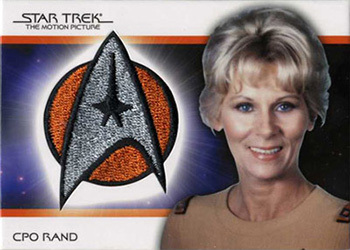 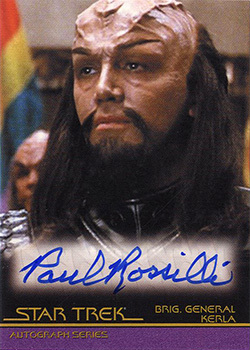 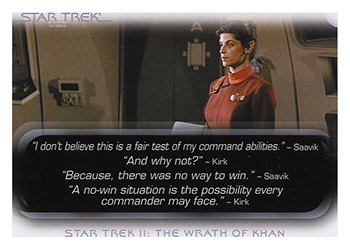 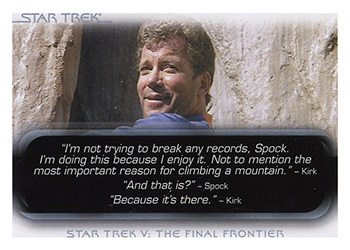 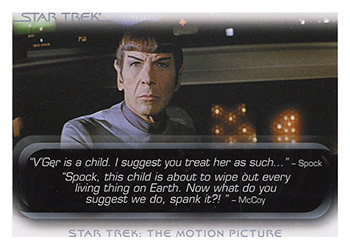 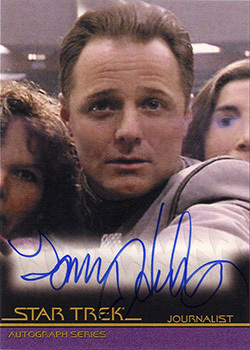 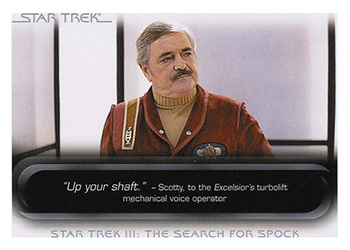 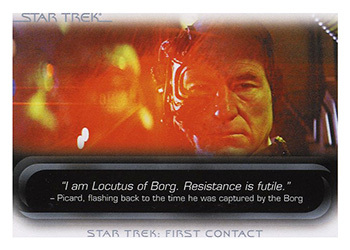 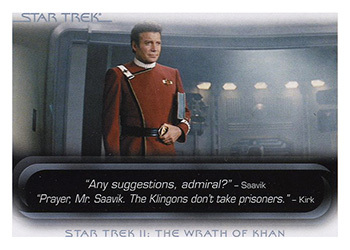 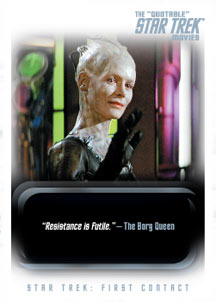 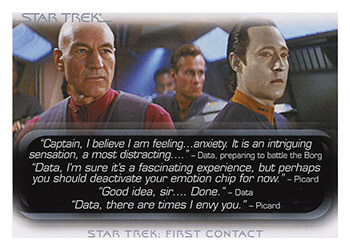 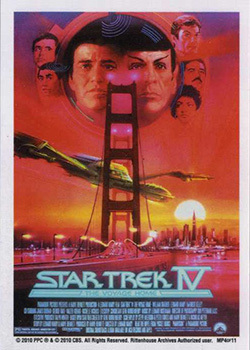 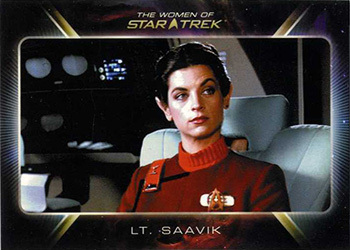 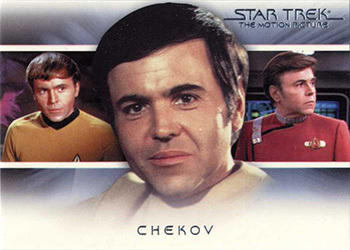 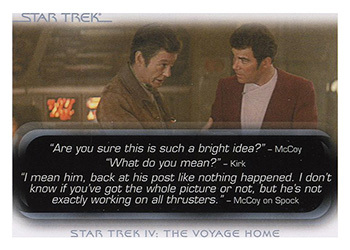 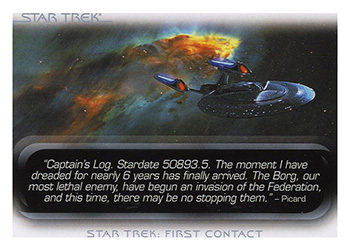 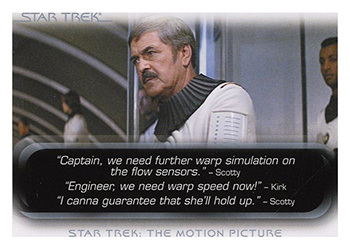 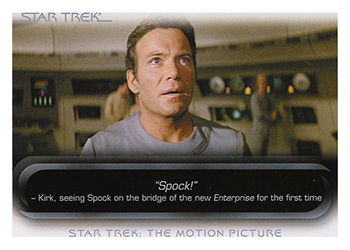 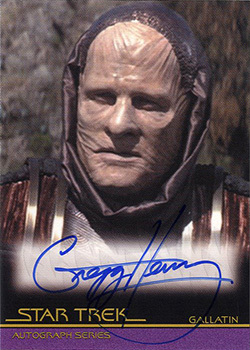 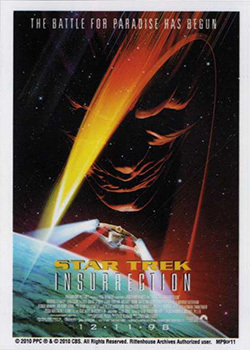 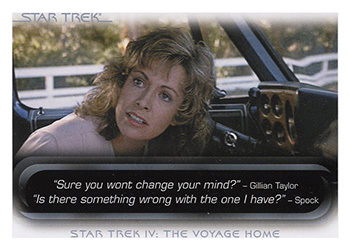 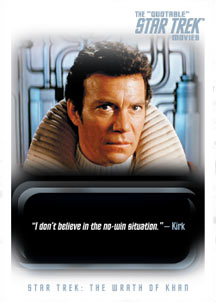 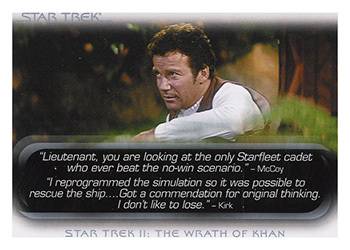 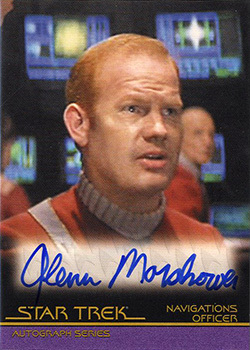 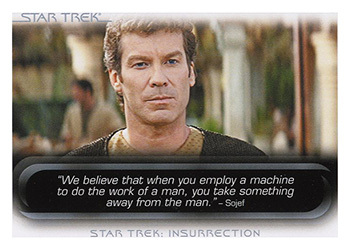 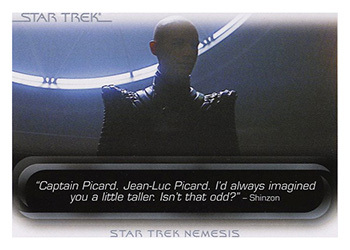 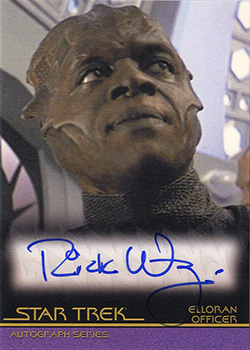 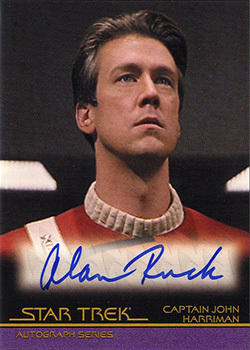 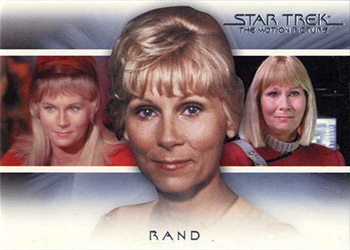 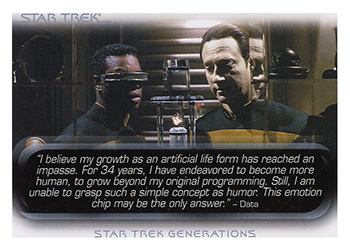 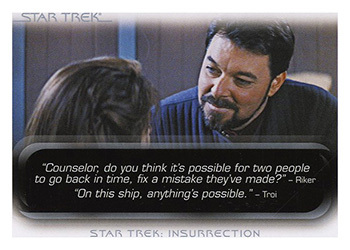 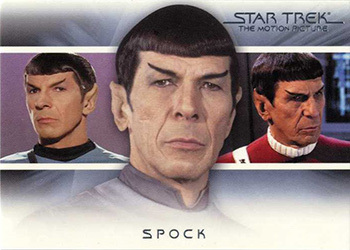 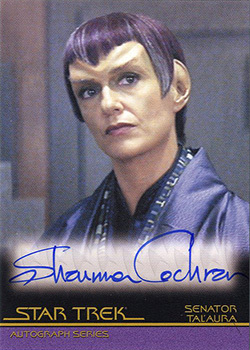 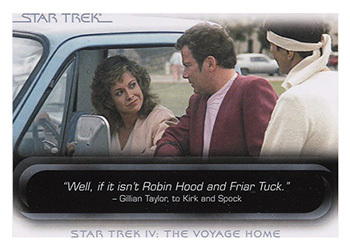 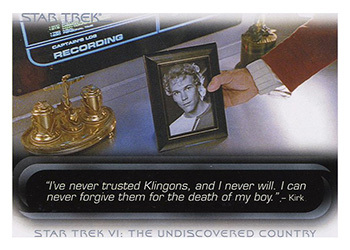 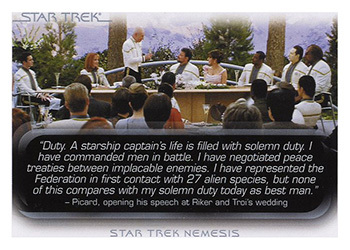 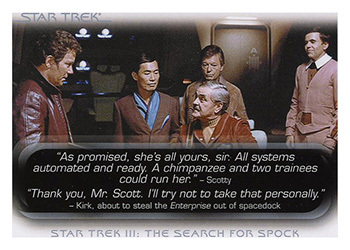 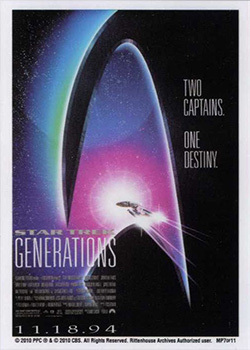 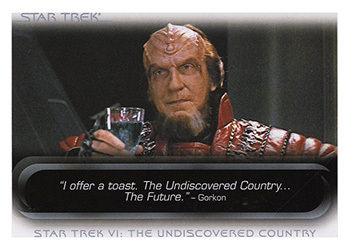 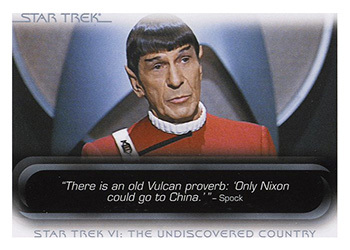 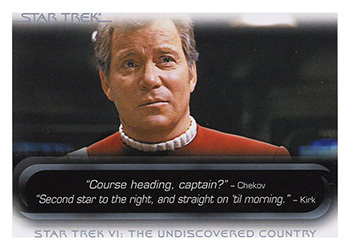 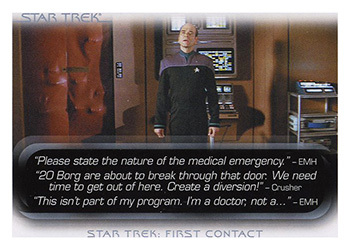 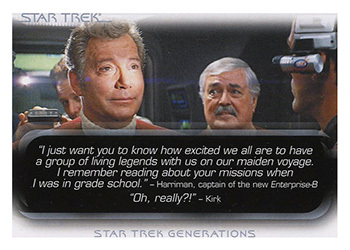 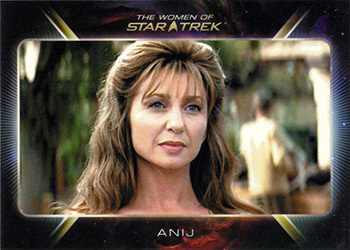 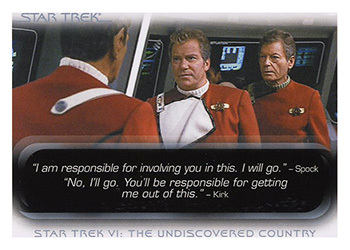 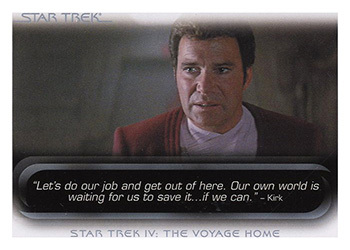 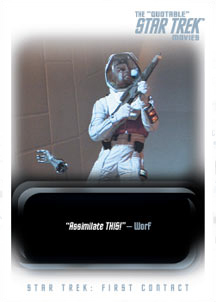 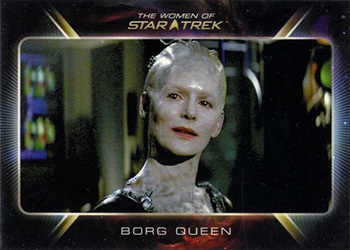 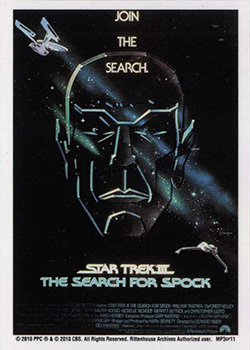 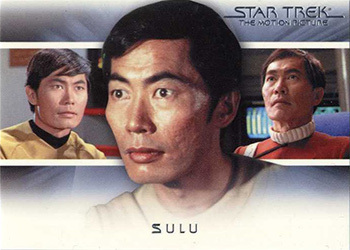 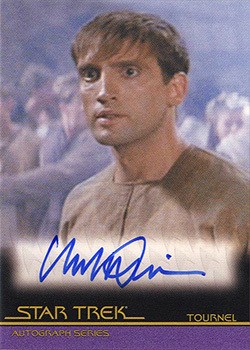 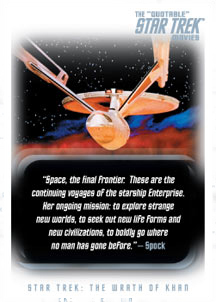 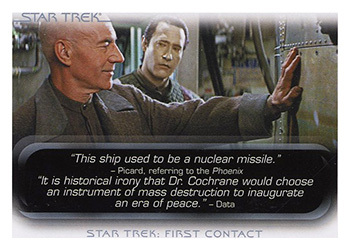 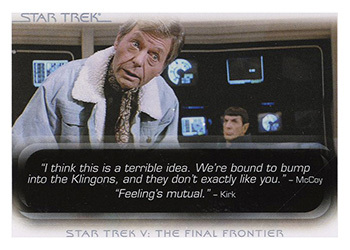 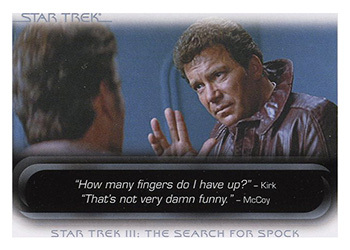 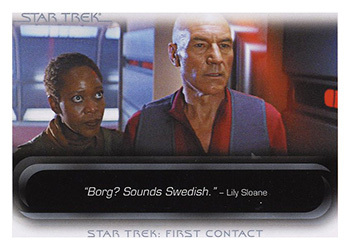 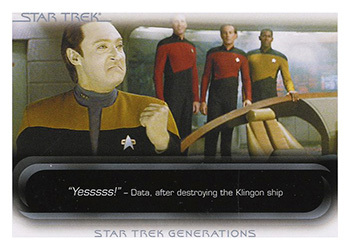 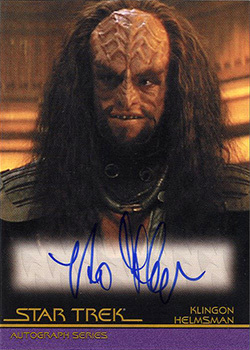 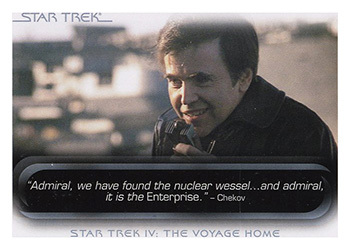 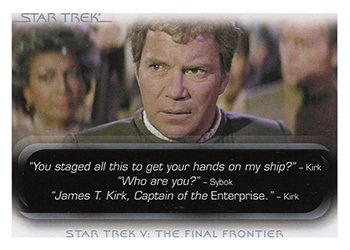 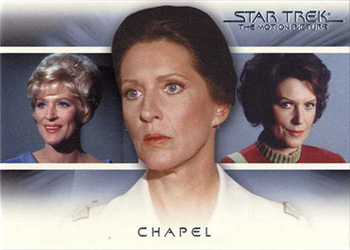 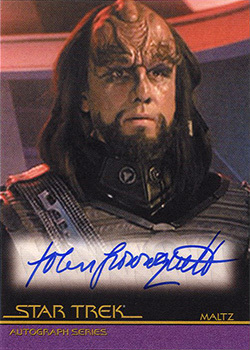 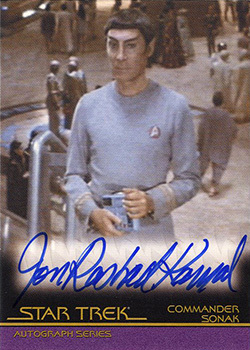 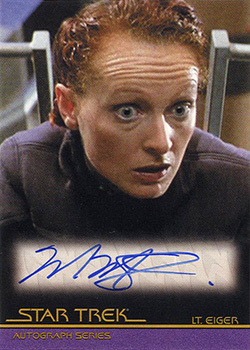 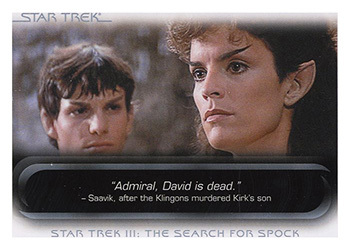 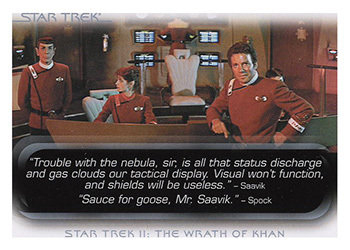 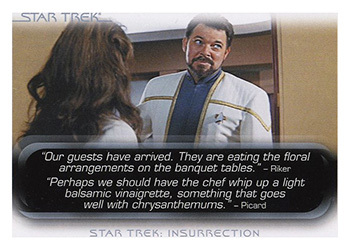 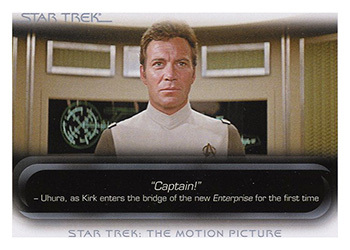 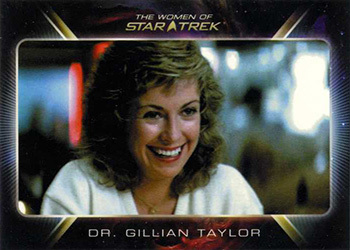 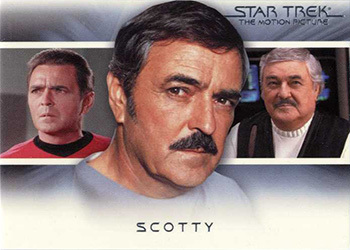 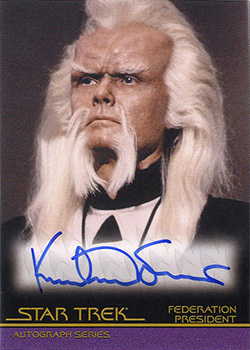 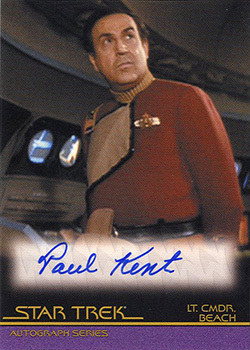 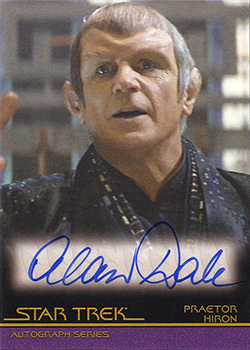 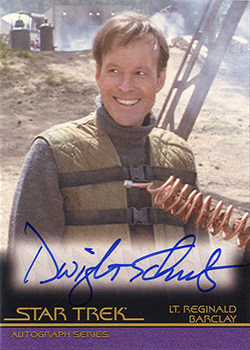 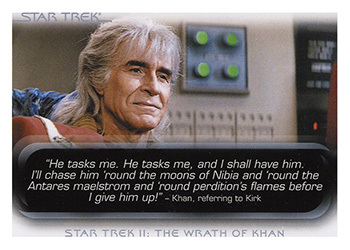 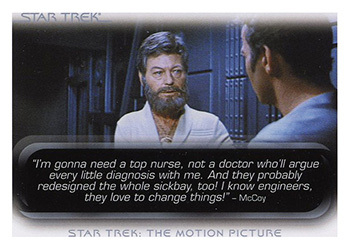 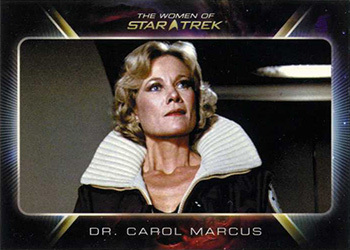 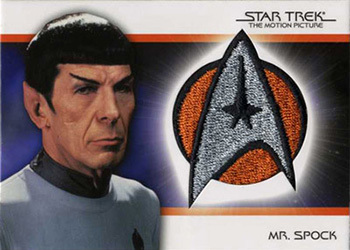 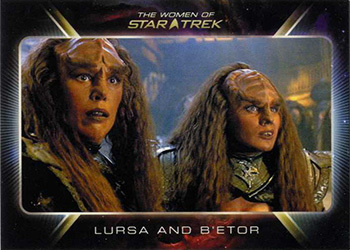 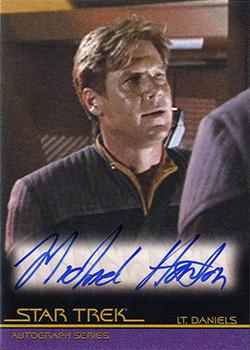 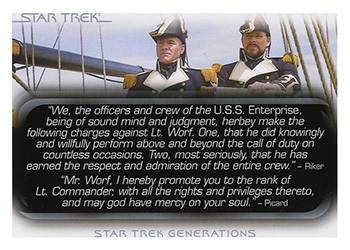 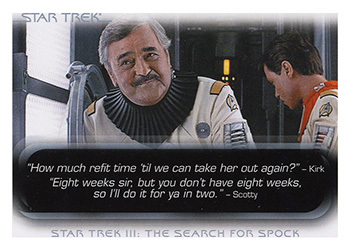 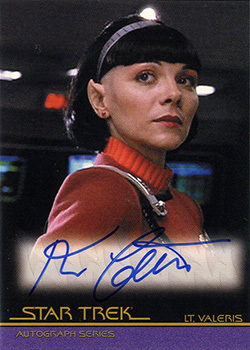 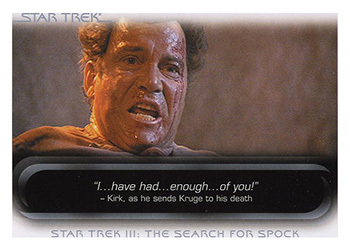 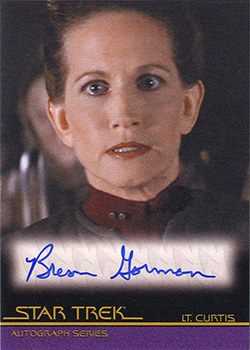 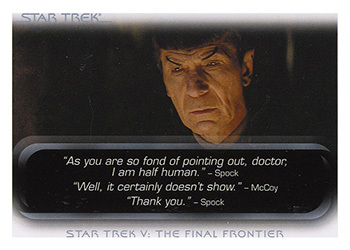 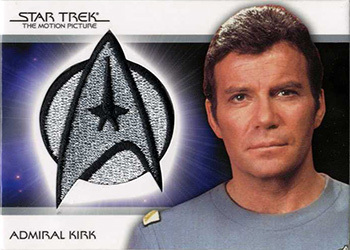 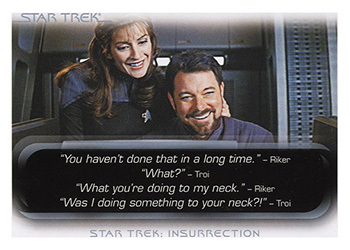 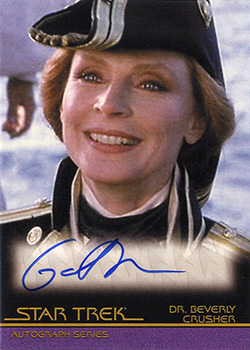 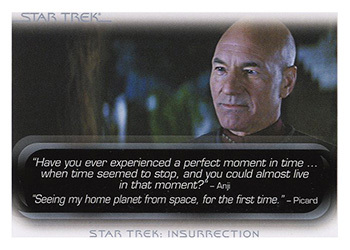 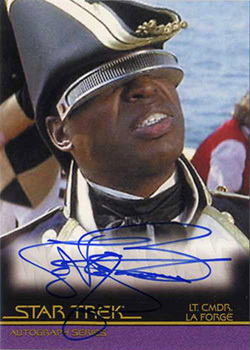 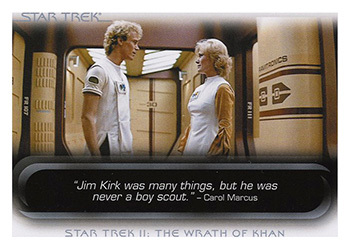 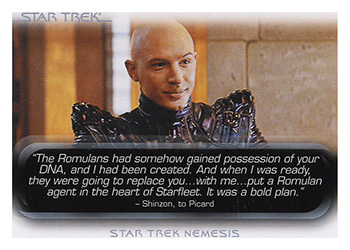 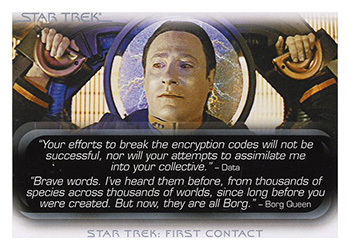 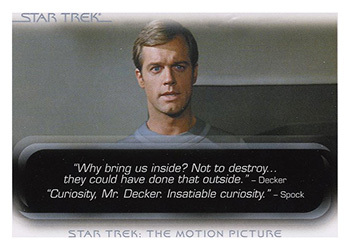 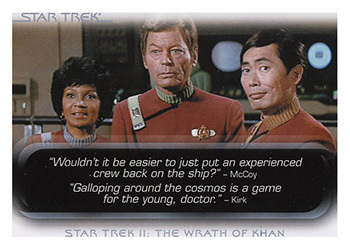 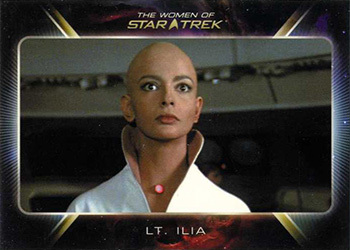 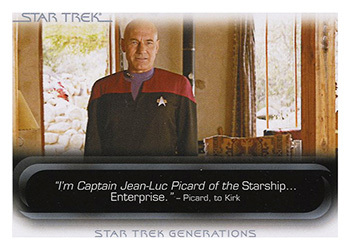 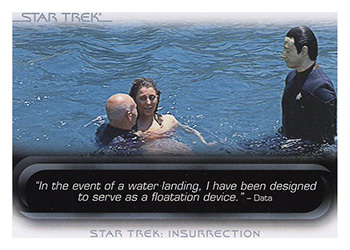 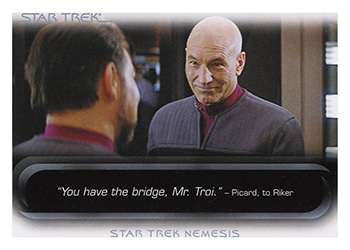 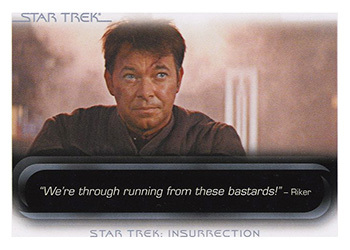 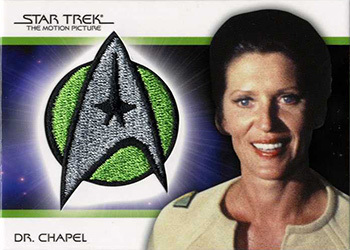 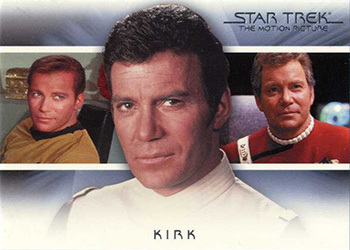 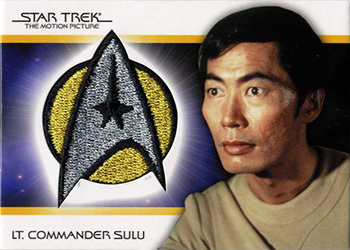 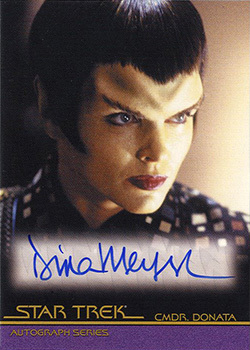 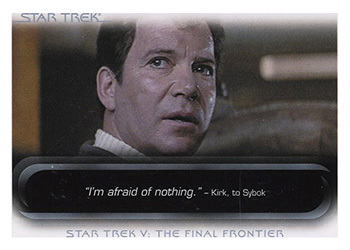 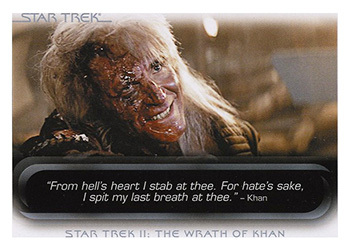 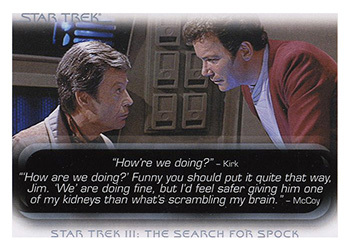 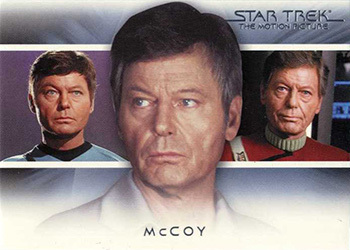 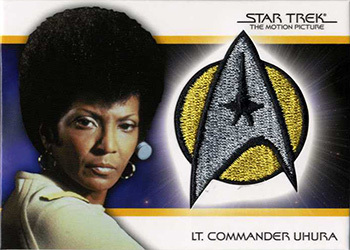 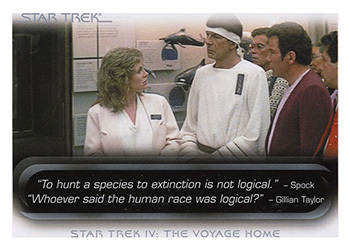 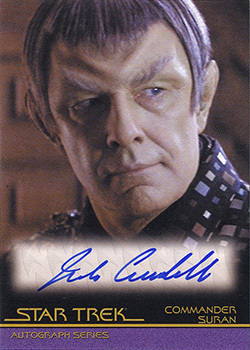 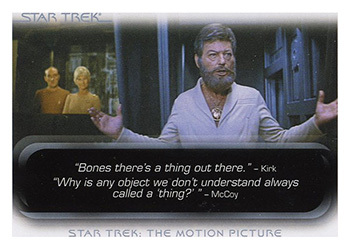 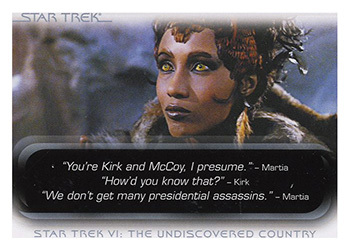 Each The Quotable Star Trek Movies Trading Cards will contain 3 AUTOGRAPH CARDS! 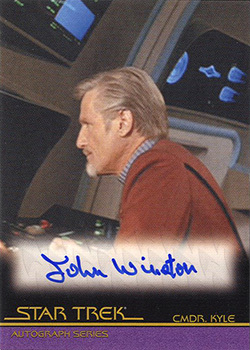 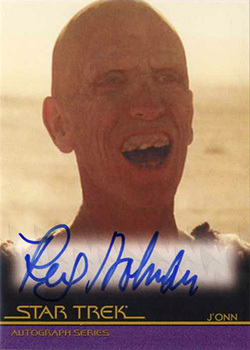 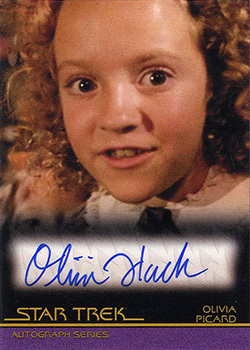 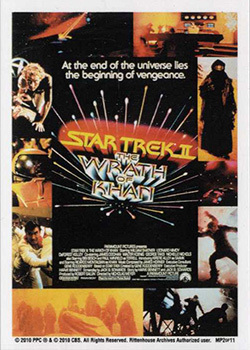 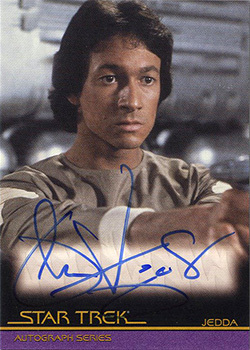 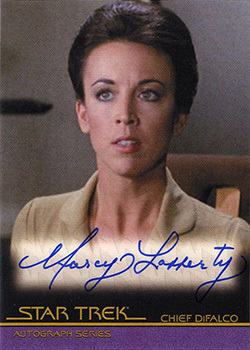 More than 30 different autograph cards, including signers from each of the first 10 classic Star Trek movies. 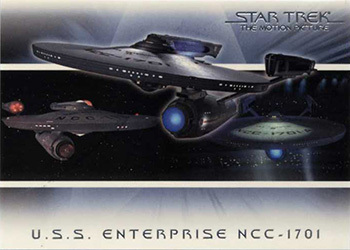 Rounding out the chase cards are several exciting sets including: 9-card Women of Star Trek Movies Expansion Set (1:6 packs); 10-card classic Star Trek Movies Poster Cards (clear plastic) (1:12 packs); 9-card Star Trek Bridge Crew Transitions Cards (1:12 packs); 9-card Star Trek The Motion Picture Bridge Crew Patch Cards (1:110 packs) numbered to 250!. 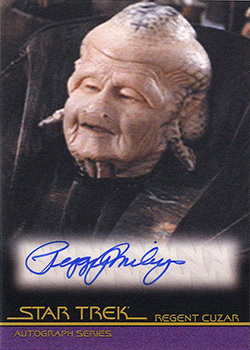 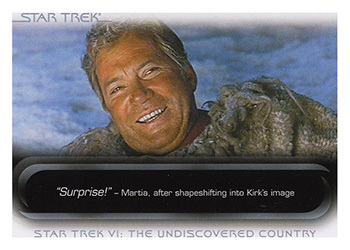 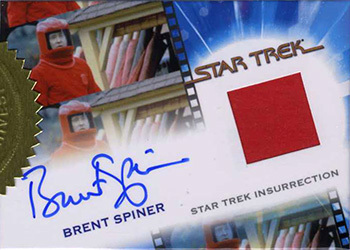 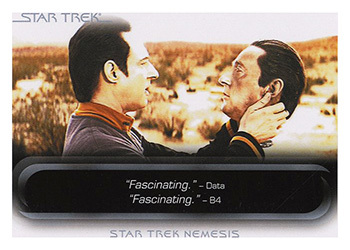 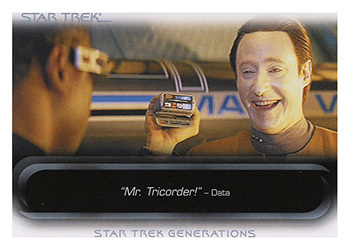 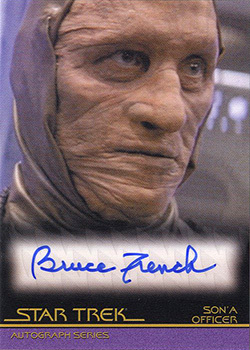 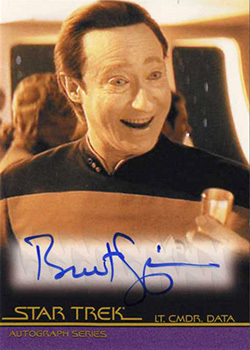 Each case will come with a Brent Spiner as Data Invisibility Suit from Star Trek: Insurrection Costume Relic Card. 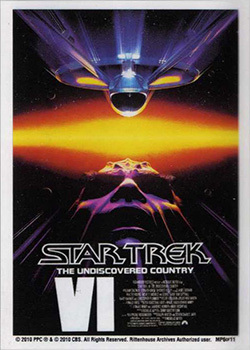 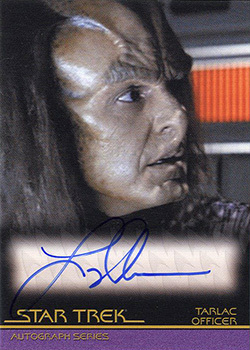 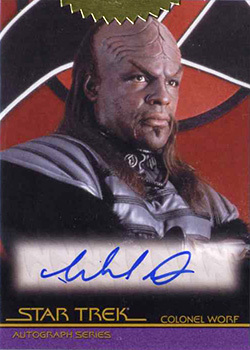 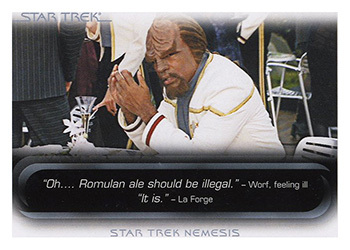 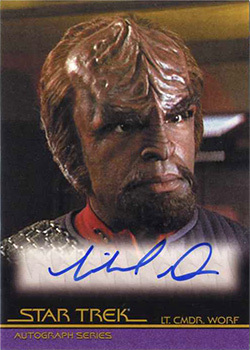 For every three cases purchased you will receive Autograph Card Signed By Michael Dorn as Col. Worf from STVI: The Undiscovered Country For every six cases purchased you will receive an Autograph/Costume Card Signed by Brent Spiner as Data. 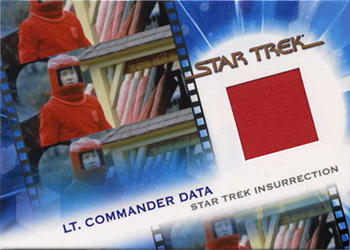 Fans and collectors will also be able to store their collection in a custom designed collector's album which contains an exclusive promo card. 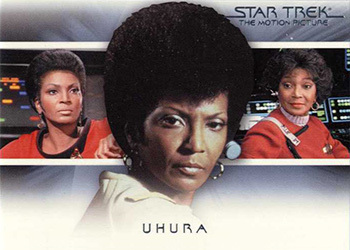 Rittenhouse Archives 30 June 2010 6,000 24 5 2½" x 3½"
Uhura as Kirk enters the bridge of the new Enterprise for the first time.